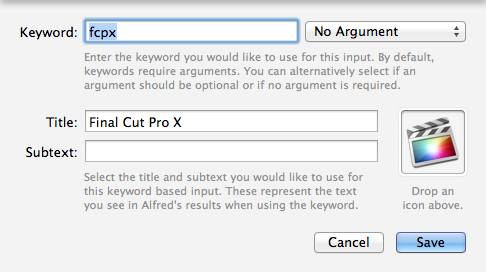 Alfred 1 had extensions, where Alfred 2 now has workflows. These are really (must) improved versions of their old counterparts. Alfred 1 had this little feature that allowed a user to prioritize certain search results over others using a File or Group extension. For every shortcut, you create a new extension. I use these to launch apps with letters that make more sense to me personally, than what are contained in the apps’ name itself. 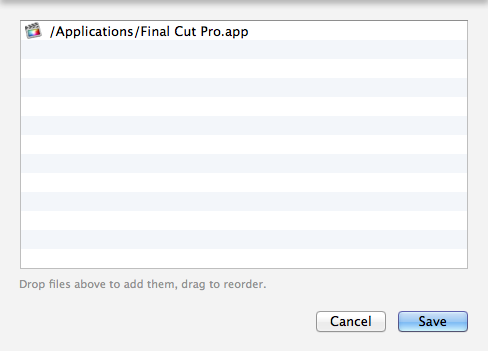 I use mas to launch the app named App Store, fcp7 to launch Final Cut Pro 7, fcpx for Final Cut Pro X and so forth. 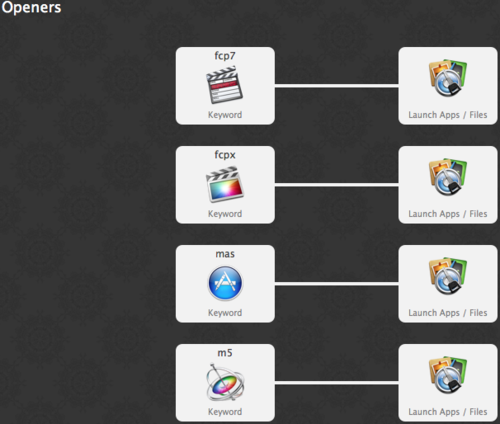 With Alfred 2, these extensions can be combined into a single workflow. I called mine Openers. Only one app to launch in the Action. You can use the same workflow to create all sorts of launchers!